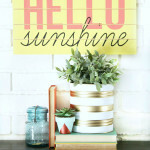 A couple of weeks ago we hosted a huge Kick Off Summer Giveaway, for my gift package I created some fun Summer printables. 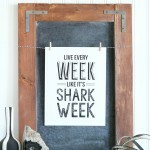 Today I’m sharing one of this Free Summer Printable with you. 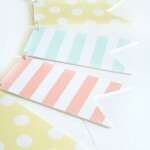 The bright Summer colors and stripes on this Free Summer Printable make me so happy, and I hope it will make you happy too. 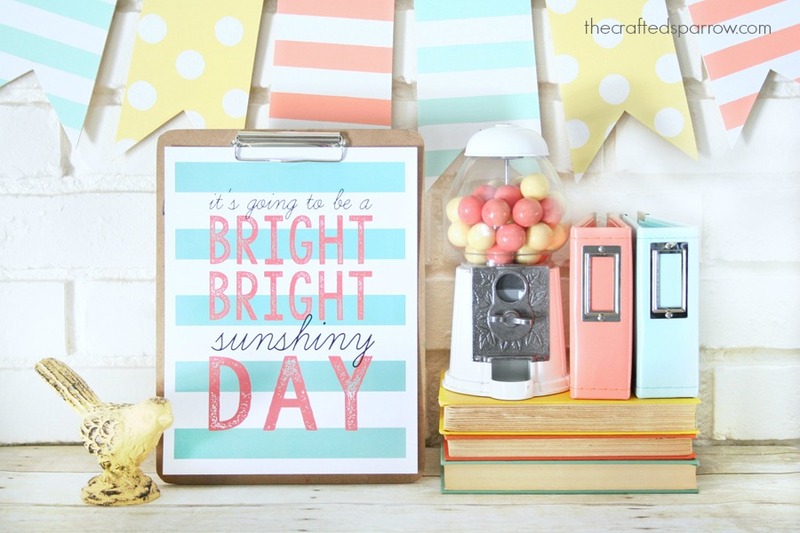 I love the song “I can see clearly now” and this summer printable was inspired by that song. 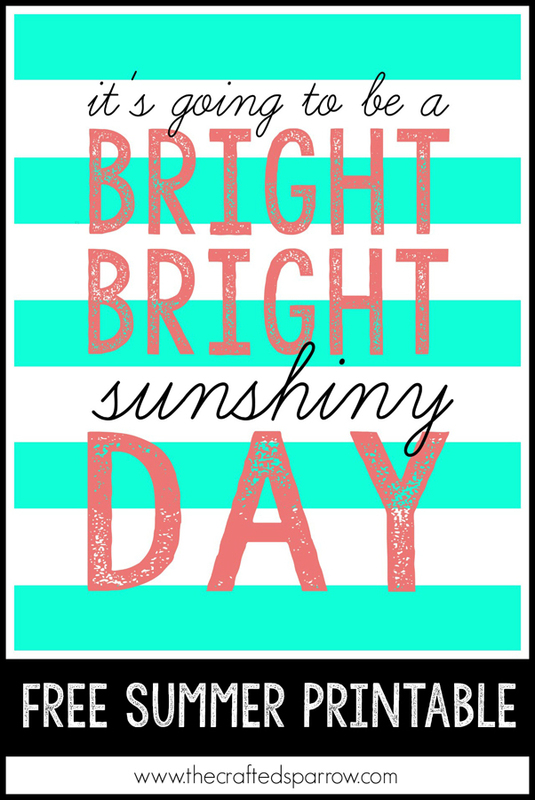 It’s a great reminder to make everyday Bright! 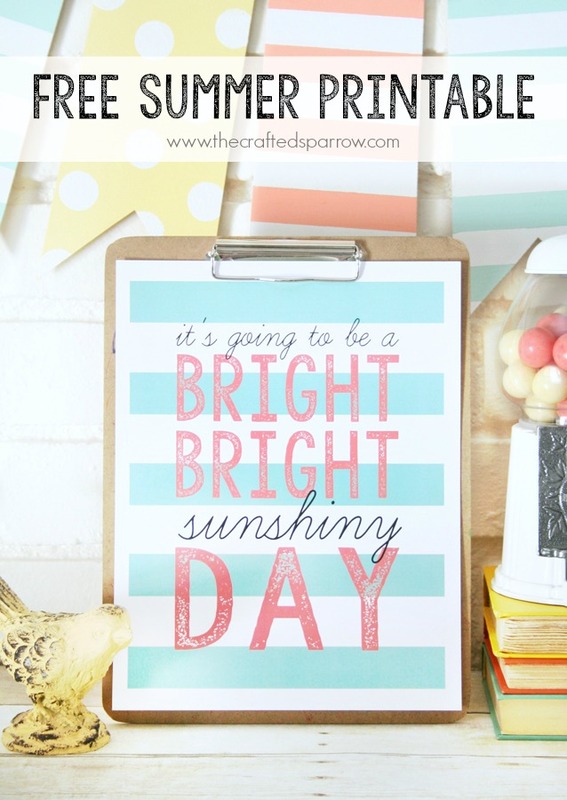 If you are ready to print this Free Summer Printable all you need to do is click HERE. When you print it, you will get the best print quality by printing on matte photo paper. 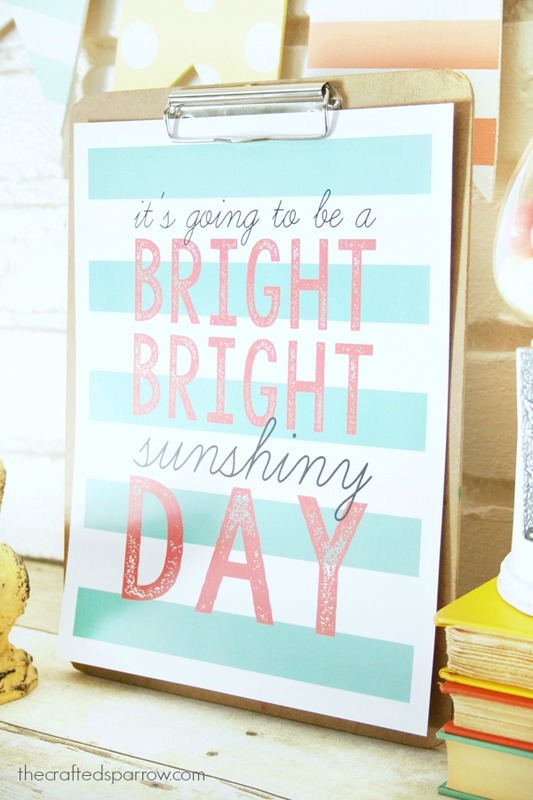 You can either frame it or hang it from a cute and simple clipboard like I did. 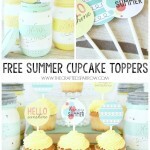 Be sure to check back tomorrow for the coordinating cupcake / food topper printables that were also featured in the Kick Off Summer Giveaway. I will be on the lookout for matte photo paper. To be honest I usually print things out on regular copy paper. This is so totally cute. Thanks. I just simply adore printables. 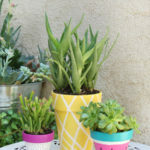 Such a fun and easy way to decorate. I appreciate the time you put in for us!! Hi Janet, thanks. I usually grab a box of 100 sheets of matte photo paper from Sam’s Club for about $10, Amazon probably has some great prices too. Have a super weekend! Oh thanks. I will look next time I go to Sam’s. 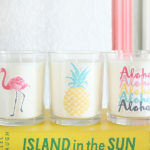 So cheery and colorful it puts me in the mood to decorate! Thanks Rebecca! Thanks Jenn! Have a great weekend. I love the banner so much! 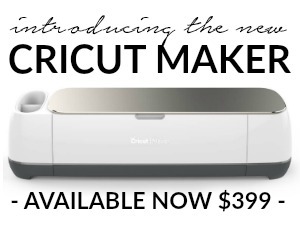 Do you have a tutorial/printout for that?! So cute! Thanks Lexi! Have a super week. Thank you Mandee! I just joined the community, thanks for letting me know. You’re welcome Nancy! Where in Alaska are you from? I was born in Anchorage, didn’t live there long since my parents left the military after I was born. I’ve always wanted to go back. Thanks Pam, and you’re welcome! Have a great week. 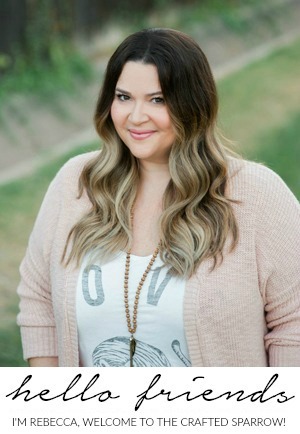 thank you for the great new printable! You’re so welcome Pam! Have a great week!